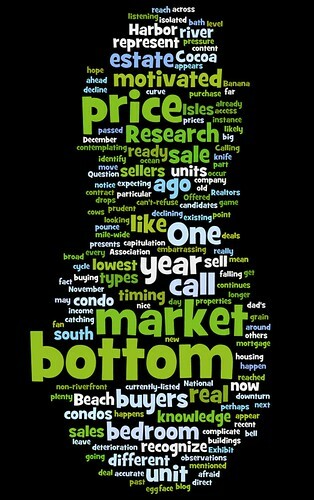 This fascinating word cloud was created at wordle.net from the entire text of one of my recent posts with word size being proportional to number of mentions in the post. My brain tells me I can understand the gist of the original post just looking at the cloud. Will sentences eventually be replaced by this or some other form of visual poetry?